Eowyn Ivey, known for her first novel The Snow Child, takes readers back to a no less mystical Alaskan frontier in her follow-up novel To the Bright Edge of the World. The novel is centred around an expedition in the 1880s to the source of the wild and little known Wolverine River. But it is much more than that, it is a love story of sorts that also touches on the issues of changing nature of the landscape and the relationship that people have with it and the destruction of indigenous Alaskan cultures that followed the arrival of Europeans. The tale is told in a number of strands. The first is mainly through the diaries of Allen Forrester, a military man charged with leading a very small expedition (himself, two men and their guides) to navigate the Wolverine. The second is the diaries of his younger wife Sophie, left behind at a military camp in Canada, and having to deal with her own personal struggles. All of this is set in a meta-narrative of a correspondence between a latter day relative of Forrester’s and the curator of a museum in the modern Wolverine town of Alpine to whom he has sent these papers. The narrative is interspersed with various other sources – objects, newspaper clippings, photographs, drawings, military dispatches and letters – creating a rich tapestry of story. There have been plenty of books charting the privations and dangers of nineteenth century expeditions and this novel succeeds just on that surface level. And Sophie’s story, dealing with tragedy and finding strength in an uncomfortable environment through the discovery and nurturing of a new skill, is just as engaging and fascinating. But there is much more to this than the surface story. Ivey has a strong sense of the landscape and the creatures that inhabit it – be they human, non-human or mythical. She brings that landscape almost literally to life through the mythology of the indigenous people of the Wolverine. Monsters dwell in the deep lakes, a woman kills her husband when it turns out he is a shapeshifting otter, the dead dwell in the high mountain passes. The book poignantly deals with the fading of this magic as the cultures that support them also fade. This is a paean for not only got those lost cultures but for the environment in which they flourished. With Forrester for part of his trip are a couple of prospectors. Their discovery of metals and minerals on the Wolverine will change the area for ever, a future captured in the description of the town of Alpine. Already in the 1880s, the indigenous people of the area are suffering from privation and diseases brought by Europeans but the influx of miners will absolutely destroy their way of life. 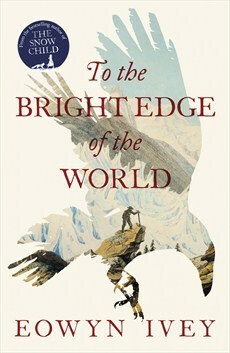 To The Bright Edge of the World is both an engaging and poignant tale. The mythological elements create a magical environment but also serves to highlight what has and will be lost. The expedition, the relationship between Forrester and his wife, the interaction between the explorers and the indigenous peoples and their resonances, is reminiscent of the relationship at the heart of Patrick White’s Vos. But To the Bright Edge of the World has broader concerns no better encapsulated than by the juxtaposition of the Forrester expedition with the modern-day flyer for an ecotour outfit offering guided trips on Wolverine for adventurous travellers.